UST law student dies in possible fraternity hazing incident - Balita Boss! 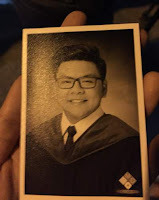 Horacio Tomas Castillo III, 22, a freshman law student of the University of Santo Tomas died from injuries believed to have been caused by Aegis Juris Fraternity hazing on Sunday, September 17. According to the report, the body was found lying on a pavement, wrapped in a thick blanket in Balut, Tondo on Sunday, by a bystander. The bystander and several others brought the student to the Chinese General Hospital, where he was declared dead on arrival at 9:21 a.m. Sunday due to hematoma or bruises on both upper arms as well as several marks of cigarette and candle wax burns all over his body. The student asked permission to stay overnight at UST for the welcoming rites of a recognized law school-based fraternity and left their home on Saturday, September 16. Castillo's family learned about the incident around 1 a.m. Monday, when the student's mother received a text message from the hospital. On the other hand, according to a memorandum order issued by UST Faculty of Civil Law Dean Nilo Divina on Monday, all officers and members of the Aegis Juris Fraternity wer put under preventive suspension and are not allowed to enter the UST school premises. UST also expressed sympathy to his family, thus, CLSC will hold a prayer vigil for Castillo at the Civil Law lobby at 6:00 PM on Monday, September 18.